Naples, Fla., August 16, 2018 – Wellfit Girls, a leadership, fitness and empowerment program for teen girls, is hosting an open house event September 19, 2018 from 4:30-6:00 p.m. at House of Gaia located at 1660 Trade Center Way, Suite 1 in Naples. The open house is an opportunity for high school girls and their parents to learn program details, ask questions about the application process, hear from alumnae, get scholarship information and meet the coaches and director. Interested participants can download the application at wellfitgirls.org/apply. The application deadline for the 2019 program is Friday, October 12. The mission of Wellfit Girls is to inspire, challenge and empower teen girls to climb high in all areas of life through transformational leadership programs. The five-month program, which begins in January, prepares the teens physically and mentally for a life-changing trekking expedition to Peru in June. 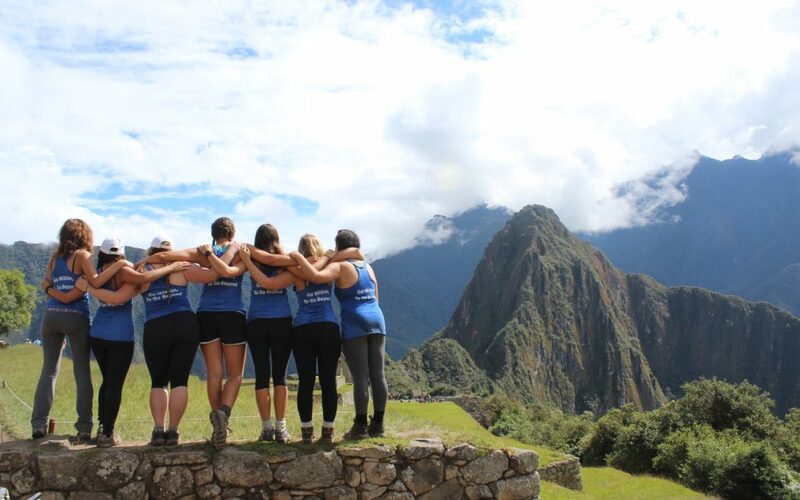 While there, the girls do community service work, trek above 15,000 feet and visit Machu Picchu, one of the new Seven Modern Wonders of the World. Wellfit Girls offers programs in Naples and Ft. Myers. The groups meet twice weekly after school beginning in January of 2019 with the culminating expedition slated for June 2 to 12, 2019.